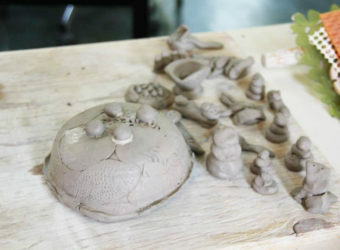 The focus is on sharing the experience with the child, working together with enthusiasm and a sense of fun. 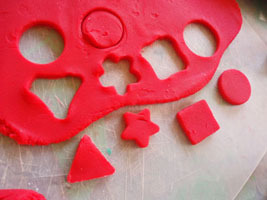 plastic cutters – circle, square, triangle & star (don’t confuse things by adding more at first). Combine above ingredients in a saucepan and cook over medium heat. Make sure you stir the mixture constantly – or it will stick to the bottom of the pan. When the mixture starts to stick together in a nice ball, remove the pan from the stove. Set the pan aside until the dough is cool enough to touch. 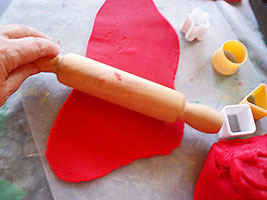 When cool, knead the dough on a floured or waxed-paper-lined board. 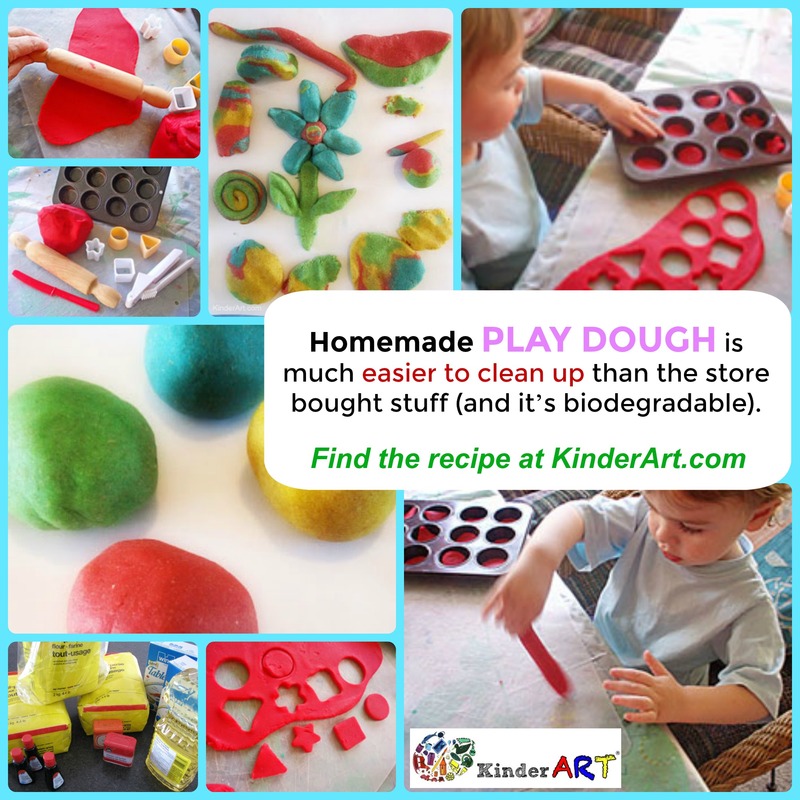 Store dough in small containers with lids. (Yogurt containers work well). 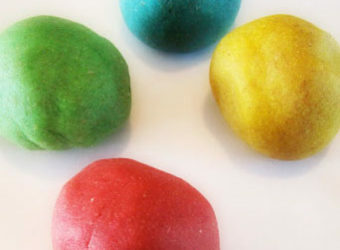 ROLLING – Roll the dough out flat together. Take turns. 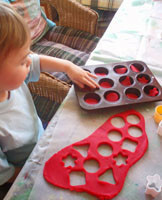 CUTTING WITH COOKIE CUTTERS – Use the cutters to cut out and remove the shapes. Try to let the child push them through, and don’t worry if they get a bit mangled! Name the shapes often. Children love choices so always let them choose which one next! 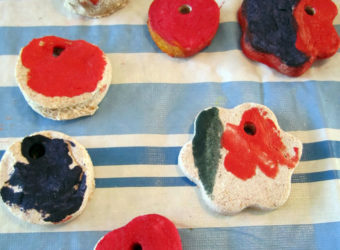 To start with they might just point and later say the names of the shapes. 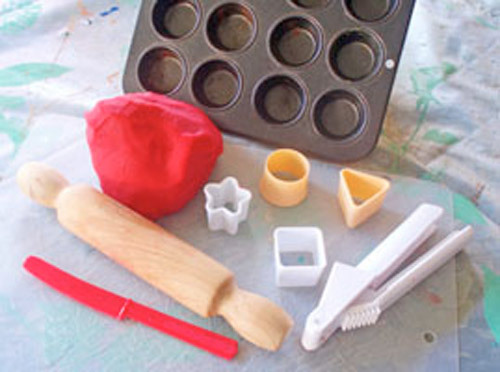 COUNTING – Point to where the shapes should go in the muffin tin – always encourage the child to place them top to bottom, left to right – so that they become used to this method for later reading. Keep counting each time one is added. 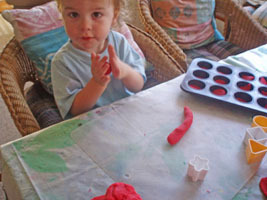 SAUSAGES – Show the child how to roll out a sausage using both hands. If they need help, ask them first – don’t just take over. 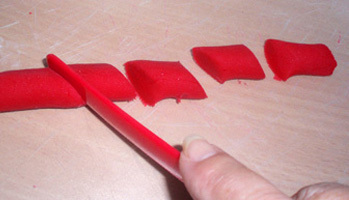 CUTTING WITH A KNIFE – Show how to cut up the sausage into segments. Do it together if the child cannot produce enough pressure. 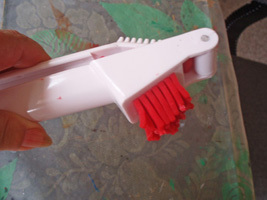 Get them to hold the knife well down the handle and put the forefinger along the top of the blade. You can then put your hand over theirs to help if needed. BALL – Show how to roll a ball in the palms of your hands. 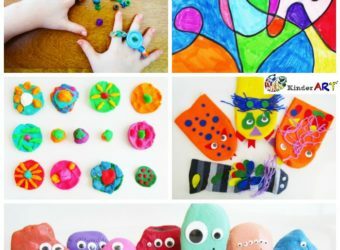 Make one each and roll them to each other. 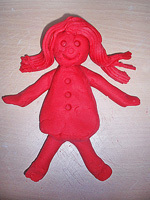 CREATE – Make up a doll using the basic shapes, adding “hair” pushed through the garlic press. Press eyes in with a pen lid. 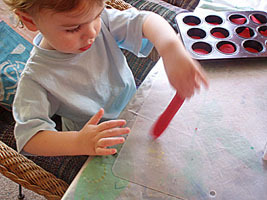 Then use your imagination to encourage other things – always on the watch for ideas coming from the child. A train with carriages is a good one you can build together. Don’t re-adjust if they put the wheels on in funny places – it is more important to build their confidence than produce masterpieces!